So you’ve got your brand name out there, and are seeing strong developments in your sales and following, but how long is that going to last? And it happens more often than you think. In fact, only 57 companies that were on the original Fortune 500 in 1955, are still on the list today. What are companies like this doing differently? Let’s get some tips from a few brands that have altered and adapted, and ultimately succeeded by standing the test of time. Have you ever come across somebody who hasn’t heard of Coca-Cola? Exactly. A staple in any successful brand list, Coca-Cola is over 125 years old and is worth over $73.1 billion, with no sign of slowing down. While the brand has successfully adapted to a number of changes, including the introduction of television, two world wars and the onslaught of the digital age; the essence of its success is knowing what to keep the same. Coca-Cola has used the same curly writing and signature bottle shape since it started, defining the brand and creating a strong identity that is noticed from miles away. Using this familiarity as a foundation, Coca-Cola has also embraced change — it responded to television marketing with the infamous ‘I’d Like To Buy The World A Coke’ campaign, and then welcomed the digital age with campaigns like ‘Open Happiness’. The company even noticed social changes toward sharing and engagement, and came up with the idea of ‘Share A Coke’. Partnerships with companies like McDonald’s and CBS has also been a great method for Coca Cola to remain relevant over time. Starting back in 1961, Cabela’s has been successful for years by making the right move at the right time, allowing themselves to remain innovative and ahead of the game. Since the beginning, Cabela’s has used whatever technology and services were popular at the time — mail order catalogs in the 60s, computer systems and telemarketing in the 70s, call distribution systems in the 80s and the world wide web in the 90s and double oughts. In fact, with the onslaught of e-commerce and online shopping, Cabela’s has become a digital powerhouse that thrives on internet sales. In 2002, Cabela’s even partnered with Maiden Mills to create a clothing line that used fabric similar to that used by the U.S. Special Operations Forces to keep warm — they knew what their customer wanted and have continued to respond to those needs in innovative ways as a means to stay popular. Founded back in 1886, Johnson & Johnson is another example of a brand that has shown evidence of endurance. While its marketing and brand personality has responded to changes like many other businesses that last over time, Johnson & Johnson has displayed savviness in other decisions too. This is mostly in relation to how the brand has diversified within a single industry, covering a number of different product lines and selling to a variety of audiences. Not only does the company have the consumer product line that most people know of, such as Neutrogena, Johnson’s Baby Shampoo and Listerine; they also have a medical devices and diagnostics sector and a pharmaceutical branch that sells prescription drugs. By diversifying the business, Johnson and Johnson reduces risk as while one industry may be declining, others could be rising. It also gives them the opportunity to innovate and succeed across a variety of avenues, increasing their chance for success over a long period of time. As an entrepreneur or business owner, endurance of a company can be a main concern. 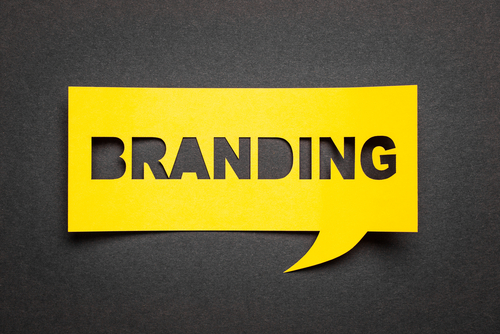 Take a look at some of these brands that have stood the test of time to understand what business and marketing decisions can assist in ensuring a long life for your brand.